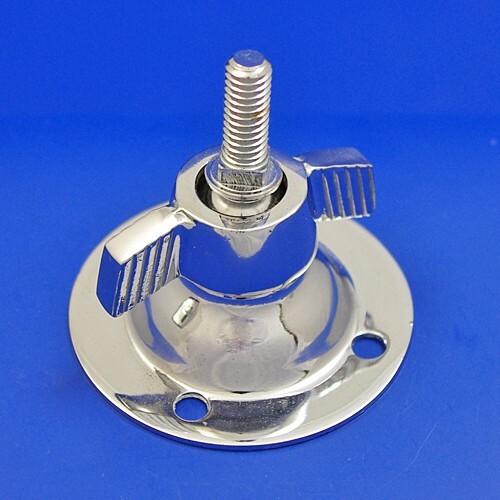 Base mounting bracket for Raydyot spotlamp. (fits in place of side mounting arm). approx 65mm overal diameter, chrome on brass. To order: enter quantity & click 'Add'.